Aerial Survey has been done since the early 20th century to provide geo spatial data for a wide range of applications.Aerial photography is the taking of photographs of the terrain from air. The term usually refers to images in which the camera is not supported by a ground-based structure. Cameras may be hand held or mounted, and photographs may be taken by a photographer, triggered remotely or triggered automatically. Platforms for aerial photography include fixed-wing aircraft, helicopters, balloons, rockets, kites..etc. Aircraft are used as platform for a wide range of air borne remote sensing system. 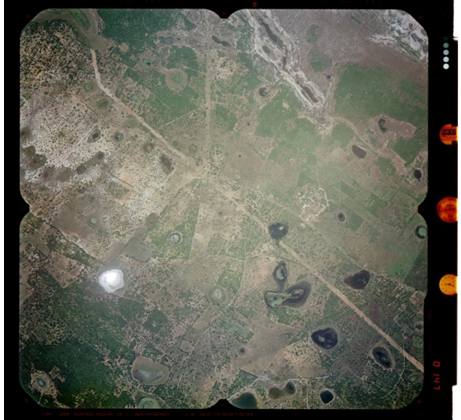 Aerial photographs were the first form of remote sensing imagery, and they remain the most widely used images today. It is the oldest, yet most commonly applied remote sensing technique. Photogrammetry is the science and technique of making measurements from photographs or image data. 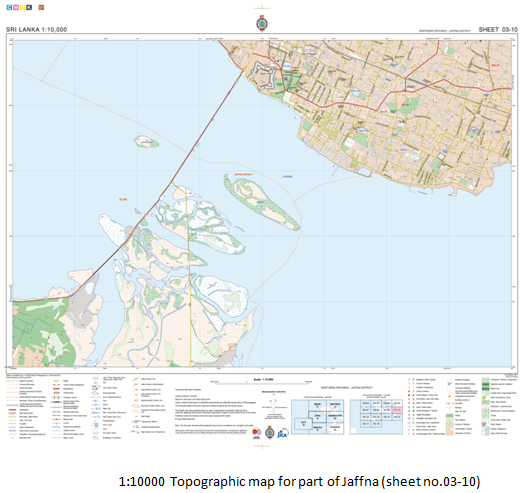 At present, Topographic maps produced by the Survey Department are based on Aerial Surveys other than the new 50k series.Large scale Aerial photographs also provide the accurate data for many engineering projects as well as source of information for specialist such as Foresters, Geologists and Urban Planners etc. In most mapping applications vertical aerial photography is required. Vertical aerial photography is produced with a camera mounted in the floor of an aircraft. The resulting image is rather similar to a map and has a scale that is approximately constant throughout the image area. Usually, vertical aerial photographs are also taken in stereo, manner in which successive photos have a degree of overlap (Forward overlap is 60% and lateral overlap is 25%) to enable stereo interpretation and stereo measurements like contours and spot heights. 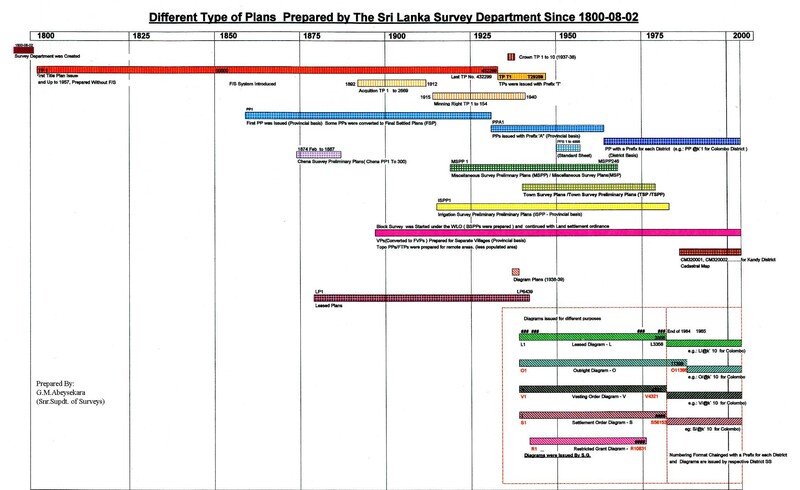 In addition to that Department has capability of produce Color/BW ortho Images or image maps as a result of having color aerial photographs in year 2010/2011 for Northern province covering 9000 sq.km under the JICA North Mapping Project. Data extraction of 1:10,000 scale for those areas were completed in 2013. Analogue air photographs and scanned air photographs are being used to collect terrain information. Stereo Compilation of the data is done by digital photogrammetric workstations and analytical photogrammetric plotters. High resolution photo scanners are being used to convert the analog air photos to digital form with resolutionvaries from 7.5µ to 120µ. It provides facility to produce high quality scanned aerial photographs with short time period. Digital enlargements of aerial photographs.